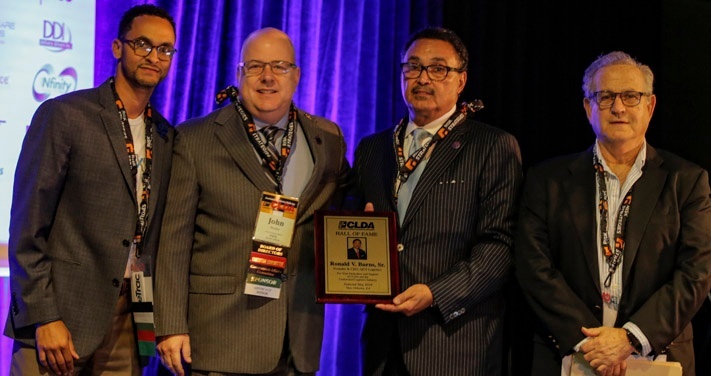 QCS Logistics Founder Ronald “Ronnie” V. Burns, Sr., received his industry’s highest award from the Customized Logistics and Delivery Association (CLDA) – Induction into the CLDA Hall of Fame. The award was presented at the association’s annual meeting in New Orleans in recognition of his 34 years of service to the industry. Burns founded New Orleans courier and logistics company QCS Logistics, formerly Quick Courier Services, in 1984. He was a founding member of the Messenger and Courier Association, today the CLDA, and in 1992 became its first African American board member. He is chairman and chief executive officer of QCS Logistics, having named his son Jason G. Burns, Sr., QCS president in 2017. Medical couriers are distinguished from other transportation service providers and distributors by features such as speed, security, tracking, specialization and customization of services. Healthcare companies know the reliability of their medical couriers directly impacts the level of care that medical staff can provide. When engaging a third party to provide medical courier services, an ongoing agreement is often the best way to ensure confidence the contractor is well positioned to provide this critical service and manage the complexities of healthcare operations. A well-designed medical courier request for proposal (RFP) will help to vet healthcare transport companies and ensure you are evaluating value, not the lowest price. Courier companies offer several benefits compared to other types of delivery services. Couriers specialize in fast deliveries of any size parcel or package and offer committed delivery times and individualized tracking. There is no better way to impress clients than by being professional, on-time and dependable at all times. Experienced courier companies use professional, trained drivers with an emphasis on customer service, so you’ll get special attention to your deliveries that will create a favorable impression with your clients. QCS Logistics (QCS) has been one of southeastern Louisiana's most vital providers of dependable medical courier service for more than 25 years. Professional medical couriers ensure that delivery of specimens, medical products, equipment and supplies is completed with the highest integrity—securely, on time, to the right location and at the right temperature. Watch our video on QCS Logistics' medical courier delivery service throughout Southeast Louisiana. 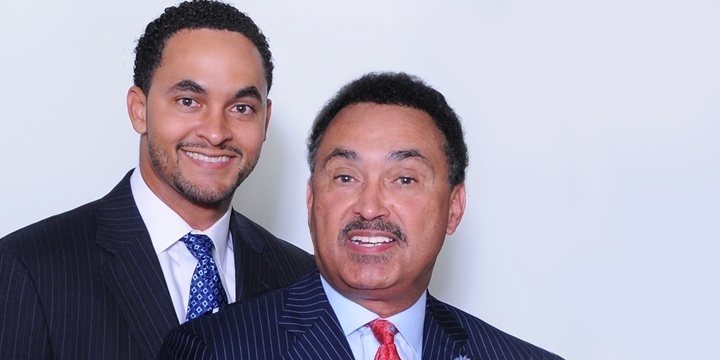 QCS Logistics transitioned to a second-generation, family-owned business when chairman and CEO Ronald V. Burns, Sr., passed the title of President of QCS Logistics to his son Jason G. Burns, Sr., in May 2017. While many family businesses are known for being close-knit with strong ties to the community, QCS has another ace up its sleeve: the St. Augustine Purple Knights. The recent devastation caused by Hurricane Harvey to Houston and the surrounding areas is personal to the QCS family. We experienced this pain 12 years ago with Hurricane Katrina and were beyond blessed to receive donations and offers of help from around the country, but especially the city of Houston, where we temporarily set up a satellite office. As the Houston region begins to face the rebuilding of its damaged infrastructure, homes and businesses, the storm’s vast impact on the supply chain is being realized. Both in the short and long term, transportation and supply chain services will be affected in numerous ways. 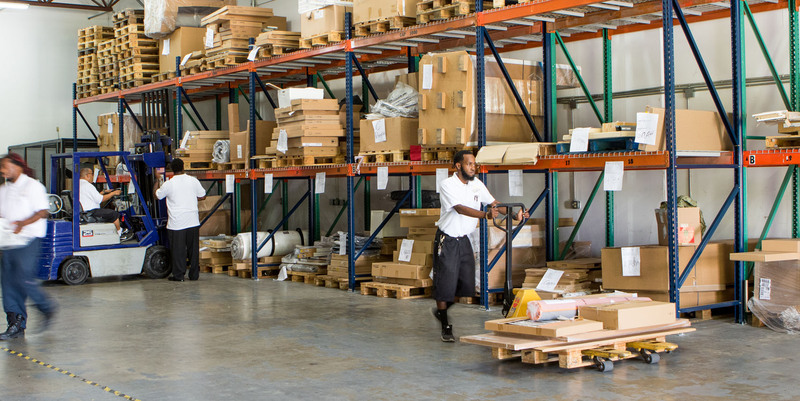 Your warehouse and transportation operations play a key role in the success of your business. Any operation interruptions or mishaps can drastically affect your company and its customers. It is important to have guidelines for safety compliance designed specifically for your work environment and regular health and safety meetings, which will lead to fewer workplace accidents and absenteeism due to injury. Reducing the risk of injury and accidents should be actively sought after by any business owner. According to the U.S. Bureau of Labor Statistics, one in 20 warehouse workers will suffer a workplace injury in a given year. Meanwhile, the average cost of a recordable injury in the United States is $35,000 in workers’ compensation and lost productivity costs, according to the U.S. Department of Labor. The time is now to prepare for the electronic logging device (ELD) mandates. The Federal Motor Carrier Safety Administration (FMCSA) requires transportation service companies to be compliant with the driver hours logging rules by Dec. 18, 2017. The ELD Rule applies to most motor carriers and drivers who are currently required to maintain records of duty status (RODS). The rule requires the use of electronic logbooks for all interstate commerce for trucks that are model year 2000 and newer. QCS Logistics, one of the region’s premier courier and logistics companies, has named Jason G. Burns, Sr. as its new President, replacing Ronald V. Burns, Sr., who takes on the role of Chairman of QCS Logistics Board of Directors in addition to his role as Chief Executive Officer. Jason joined the company in 2007 as Vice President of Business Development. Ronald Burns, QCS Logistics founder, has grown the company into one of the largest courier companies in Louisiana and an Inc. 5000 “Fastest Growing Private Company" for the past four years. QCS Logistics provides parcel delivery, medical courier services and customized logistics management services throughout the Gulf South. Marking its 30th anniversary as a leading association representing those who keep the wheels of commerce rolling in North America, the Customized Logistics & Delivery Association annual meeting brought together 400 members of the industry for three days of networking, educational sessions and focus groups. 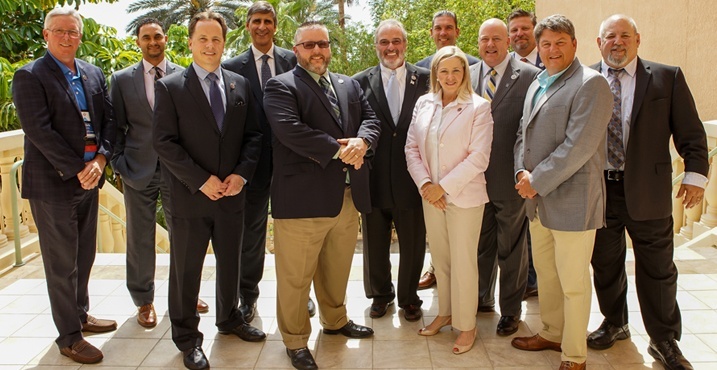 The logistics industry association meeting was held May 3-5 in Orlando, Fl., and focused on shipper-carrier best practices and creating new business opportunities for CLDA members. CLDA Annual Meeting & Expo Chair Chuck Moyer said conference planners’ aim was to provide participants the opportunity to walk away with new business contacts, state-of-the-art technology updates, business best practices and information necessary to remain competitive and meet the ever-changing needs of shippers.